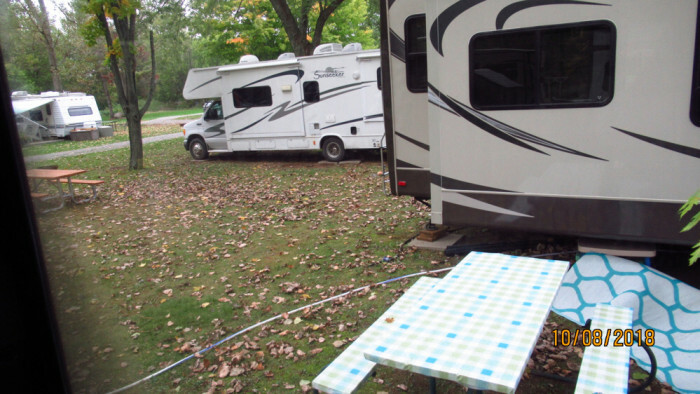 Ask fellow campers about "Happy Green Acres Family Campground" and nearby attractions. Owner/staff friendly, helpful, we were shown to our site. Most of the trailers in the area where we were were mostly seasonal. Our site was tight and not quite level. We camped at Happy Green Acres Family Campground in a Travel Trailer. Under new management for a year and these folks have made an excellent start on this well-tended park. Hard working, enthusiastic, pleasant staff and friendly seasonals. Bathhouse a bit old but very clean, really nice heated pool, strong Wifi, new sites being added, both grass and gravel. A good variety of sites from which to choose. Great value; book early. 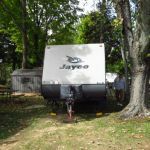 We camped at Happy Green Acres Family Campground in a Travel Trailer. Great shopping and interesting history in Brockville 15 minutes East. Scuba charter at Mallorytown Landing 15 minutes SW. Pleasant family-run campground, largely occupied by seasonals. Very quiet despite being relatively close to a very large highway. Didn't use the laundry, but it seems fine. Site was level grass pull through. We would stay here again, particularly with the Good Sam discount. 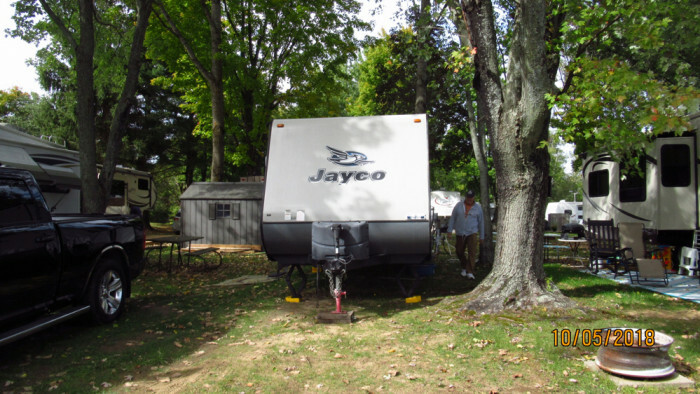 We camped at Happy Green Acres Family Campground in a Fifth Wheel. Close to St Lawrence National Park and Brockville. Rate shown is Good Sam discount. Our site was a nearly level grass pull-through and included a table. Most sites were occupied by seasonals. All hookups worked fine. No cable TV, but found around 15 channels off the antenna. Wi-Fi cost $2 and internet access was satisfactory. We would stay here again. 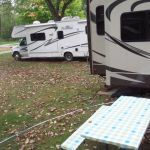 We camped at Happy Green Acres Family Campground in a Motorhome. Nice clean park, well located. We enjoyed our stay in Brockville, took a 2 hour boat tour of the 1,000 islands and was well worth the time. Only 30 amp which was no problem as it was cool, the Wi-Fi is $2 a day. The lady who owns the park is a sweet heart, would stay here again. A little expensive for what they offer. 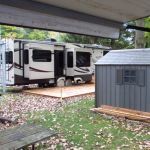 We camped at Happy Green Acres Family Campground in a Motorhome. Found the people friendly helpful and courteous. Very relaxing atmosphere, quiet calming We camped at Happy Green Acres Family Campground in a Travel Trailer. This was our first stop with our new motorhome. This was a great campground to test out everything. We are new to camping so we learned a lot from the staff and customers. Campground was nice and well managed. This park has great staff and nice amenities. We will camp here on our way back home in a few months. Great Park! The owner was awesome! I would recommend this to any camper. We camped at Happy Green Acres Family Campground in a Motorhome. Nice clean and well groomed park. It is located close to Brockville and has lots of grass for walking a pet. The owners are particular about the place and are there if you have questions. We camped at Happy Green Acres Family Campground in a Travel Trailer. Beautiful little park maintained by an older woman with help from her son. Very well maintained sites, grass is regularly cut and flowers planted throughout. Very quiet park, some long-term campers, not many short-term campers. We had the park almost to ourselves mid-week after Canada Day long weekend. Bike / walking trails cut through the bush and meadows were a lot of fun. Washrooms were very clean, cleaned twice daily with nice amenities (indoor/outdoor carpet on the floors). 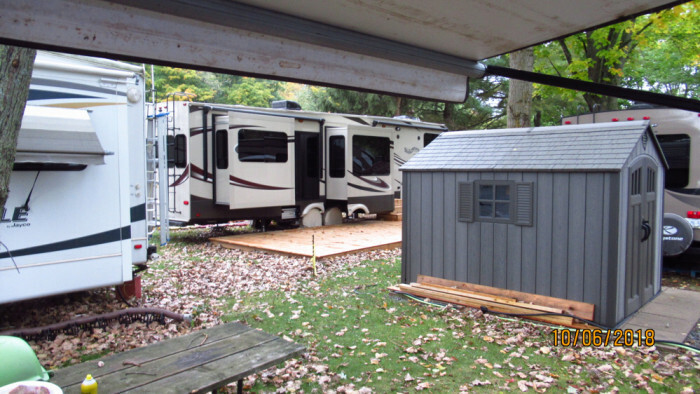 We camped at Happy Green Acres Family Campground in a Travel Trailer. 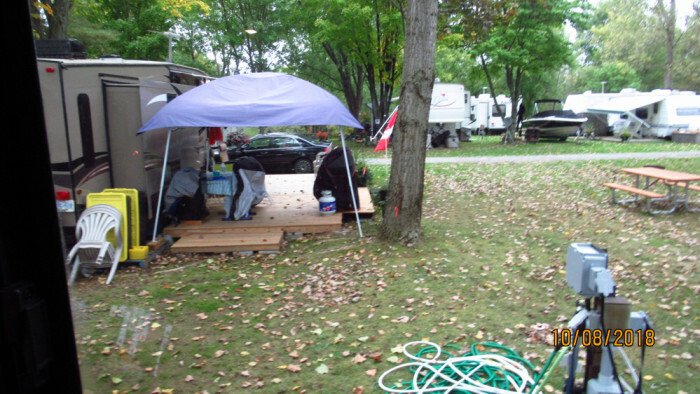 We were extremely happy with this campground - it was well maintained and what we liked the most were the grass sites. Management was friendly and eager to help in any way. Another plus, it was a short drive into Brockville. We camped at Happy Green Acres Family Campground in a Travel Trailer. Nice park for motorhomes just of Rt 2 off the 401; good for border crossing at Cornwall. Picnic table, pay phone, very friendly people (no kids seen). Cash only. Can hear 401 and RR trains at night. We were just passing so can't really give more information. We camped at Happy Green Acres Family Campground in a Motorhome. Are you affiliated with Happy Green Acres Family Campground ?